Hey Everyone!! Candace here from Candi O. Designs and it's my day over on the Jaded Blossom Blog. 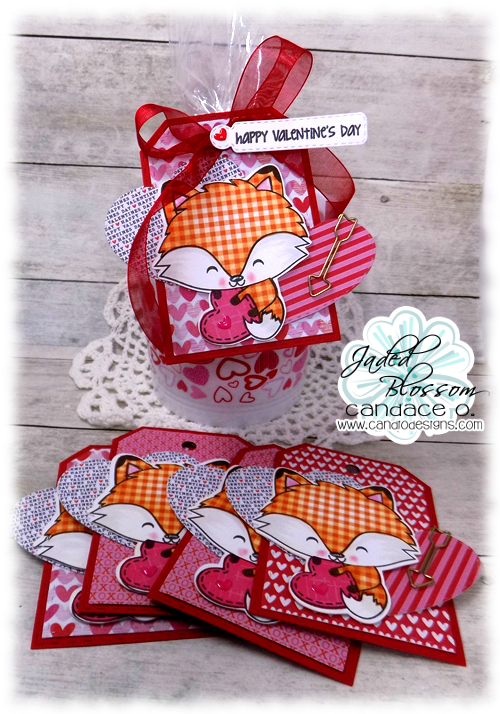 I'm sharing some Valentine Tags I made using JB goodies!! I made these tags to go on mini buckets I bought and filled with treats to give my friends this Valentine's Day. These are adorable!! The fox is one of my favorites!!! Your tgs are just adorable!! Love this sweet fox. 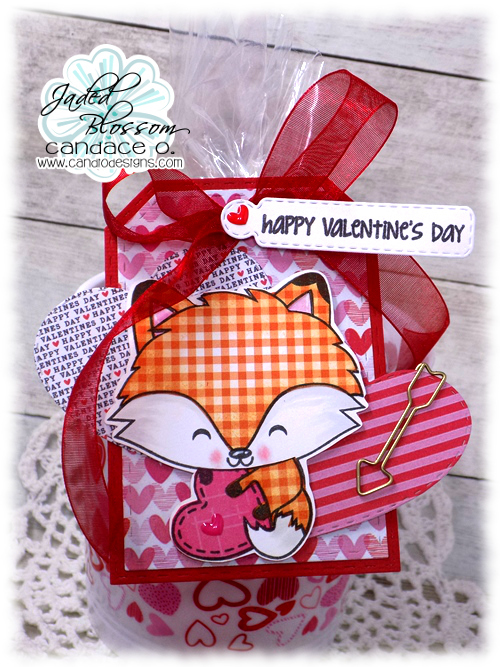 LOVE the fox in the patterned paper!